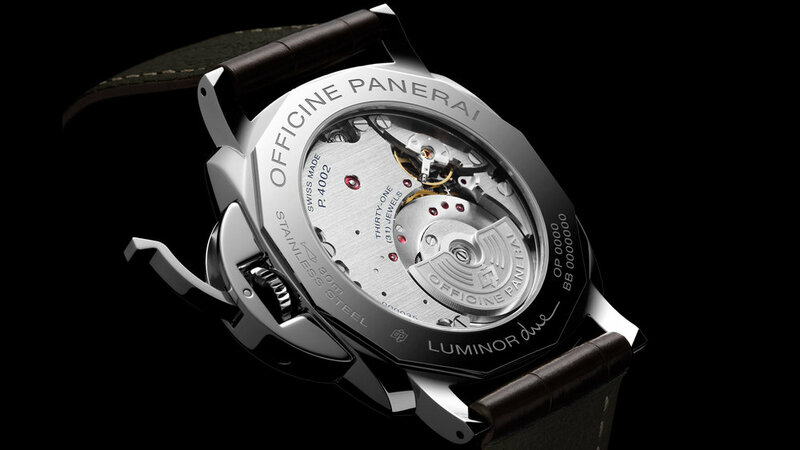 Opening up an iconic design to an entirely new audience when it was launched in 2016, the reduced fat Luminor Due presented a cool compromise for those who loved the Panerai look, but for whom a whacking great 45mm watch was just not compatible. 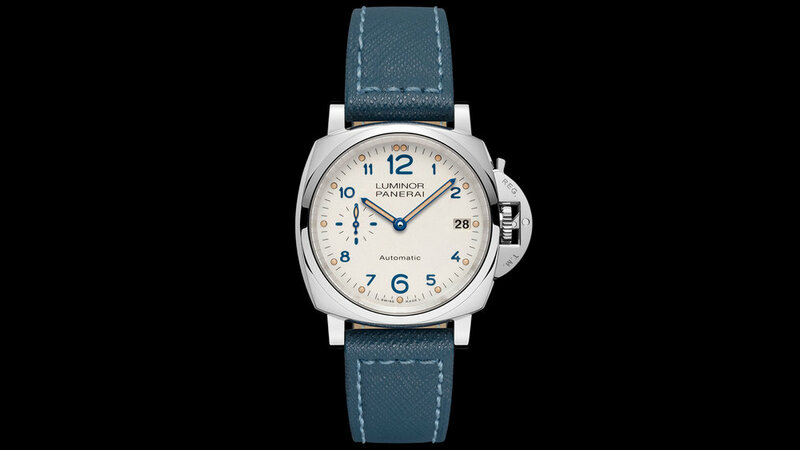 Translated literally as the Luminor "Two", the new Due is a more slender proposal, its signature Panerai design cues fully intact, but refined with a slightly scaled down profile, and so less prone to chewing the cuff off a favourite shirt. 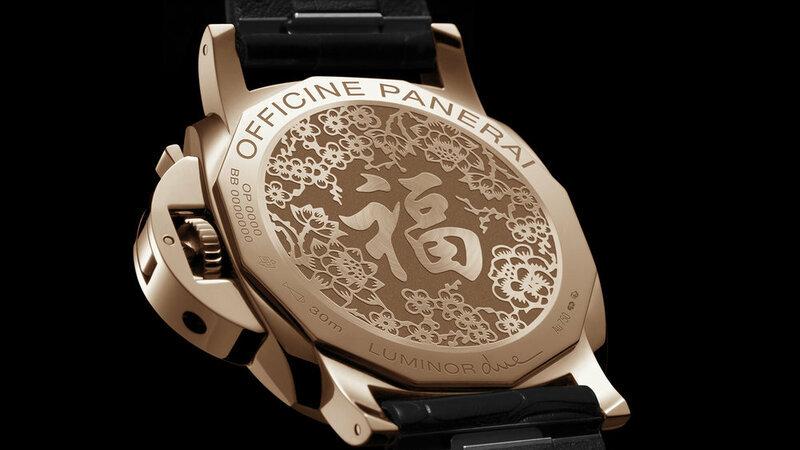 Even though it's imbued with Panerai's frogman DNA, with a rating of just 3 ATM (30m) Due is a dive watch inspired collection that isn't really a dive watch, and while causing the almost predictable outrage from the diehard Paneristi for whom this could be a Panerai in name only, it has also met with broad approval from other quarters, and with the collection growing with the introduction of eight new references at SIHH 2018, it would seem to have been a good move for the brand. So much so that for the first time ever, the typically hairy-wristed company can now boast a watch which could actually be described as 'feminine', as four brand new Luminor Due 3 Days 38mm versions in a choice of steel or gold, and equipped with OP XXXIV Manufacture automatic movements now join a lineup which also includes new 42 and 45mm variants as well, although for sure it's the 'baby' Panerai which is most significant, as at 38mm it's the smallest model they've ever produced. Even scaled down slightly, the new range loses none of the brands DNA, and it still boasts signature details such as the locking crown protector, and if it's been designed primarily for the female market, it's also right on the ideal crossover size which will doubtless appeal to both sexes. 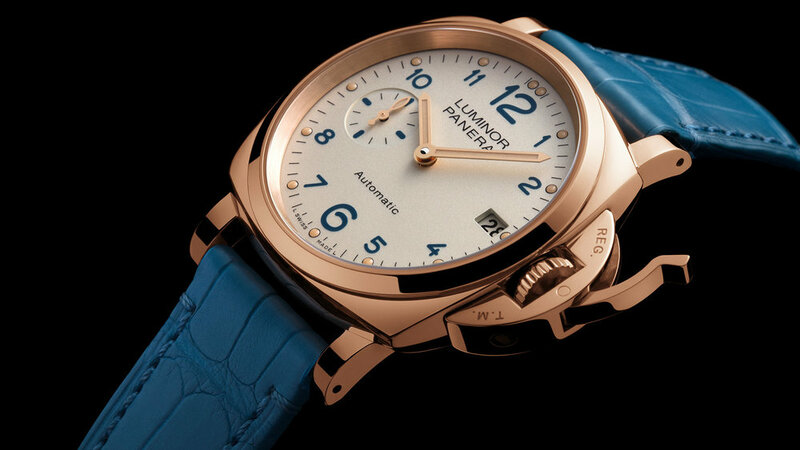 Available in Oro Rosso or Acciaio, all feature small seconds at the nine, and a date window at the three and, like the new 42mm models, are powered by the self winding OP XXXIV calibre, which beats away behind a screw on steel caseback..
With two steel models and two in rose gold, they feature either white dial with blue detail and roman numerals, or black satin sunray sandwich with cutout numerals and linear indices over gold or green luminous base. Matched with green or blue straps, the combinations works really well, and add a welcome splash of colour to the range. Also unveiled at the same time , and getting into somewhat more familiar territory size wise, two new Acciaio 3 Days at 42mm now also feature the same Manufacture automatic movement which has three day reserve, and available in stainless steel they too come with black/green sandwich dial or white/blue combinations. Finally there are two big 45mm models which includes the Luminor Due 3 Days GMT Power Reserve Automatic, which is the only exception to the hours, minutes, seconds, date format of the other new arrivals, adding second time zone and 24 hour indicator, as well as the power reserve display. The 45mm pieces feature the P.4001 (base) and P.4002 (GMT) automatic calibres with micro rotor and three day reserve.